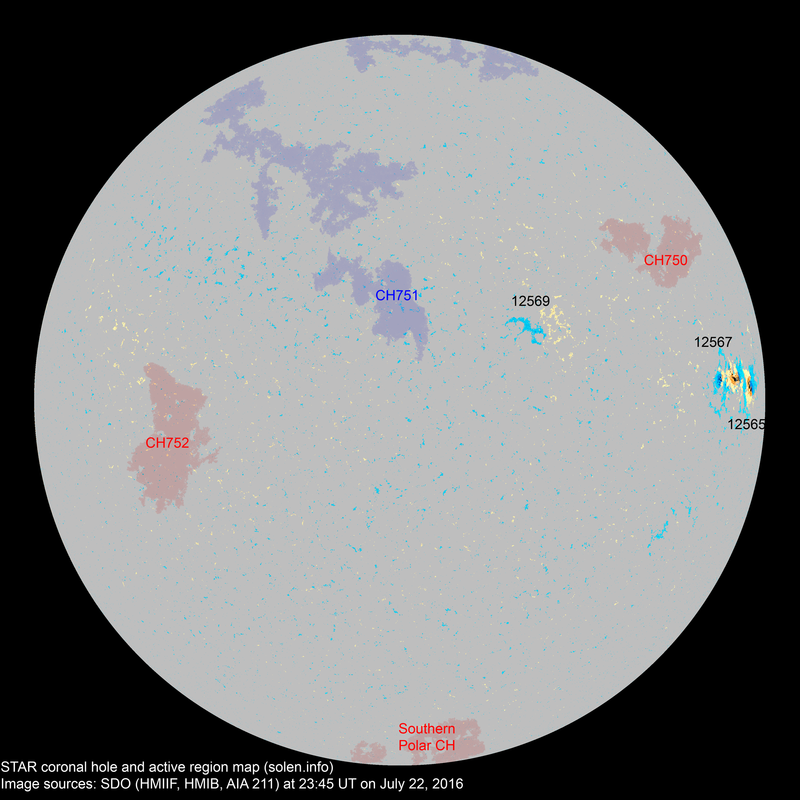 Last major update issued on July 23, 2016 at 06:10 UT. 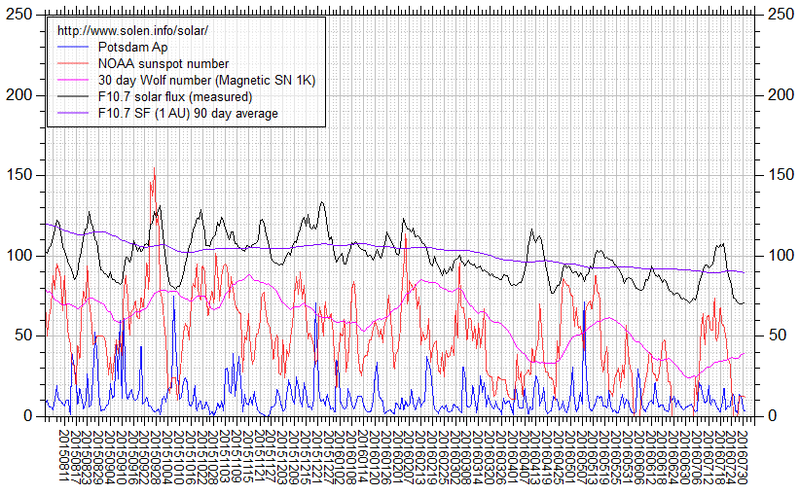 The geomagnetic field was quiet to unsettled on July 22. 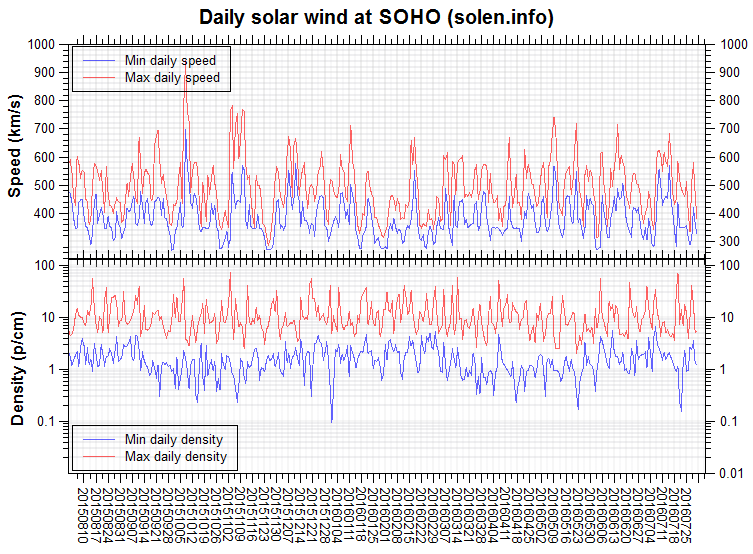 Solar wind speed at SOHO ranged between 350 and 488 km/s. 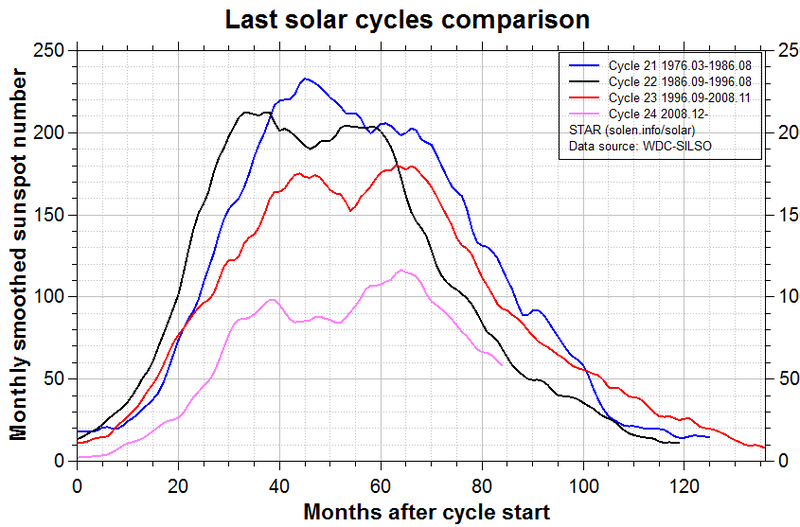 A low to moderate speed stream associated with CH750 became the dominant solar wind source after noon. 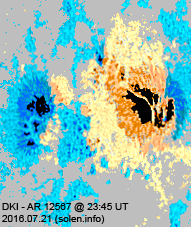 Solar flux at 20h UTC on 2.8 GHz was 90.4 (increasing 13.3 over the last solar rotation). 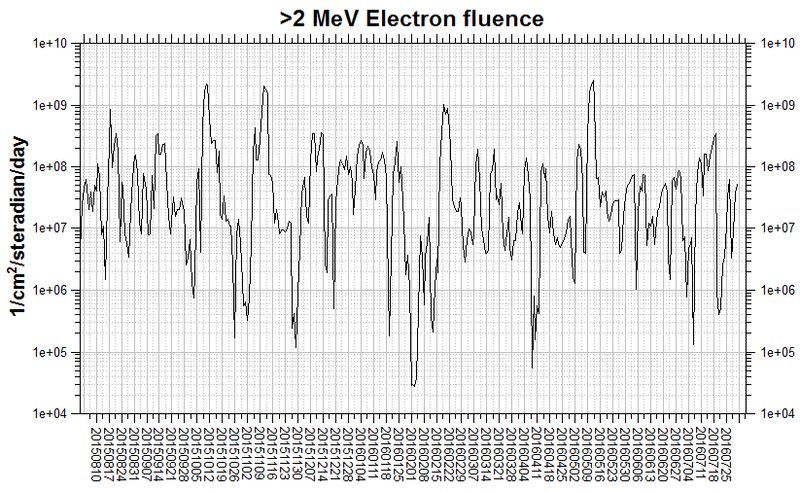 The 90 day 10.7 flux at 1 AU was 90.9. 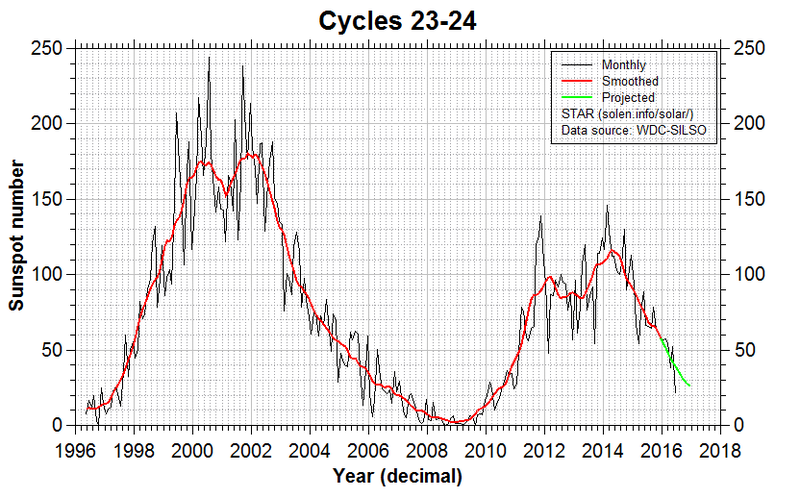 The Potsdam WDC planetary A index was 7 (STAR Ap - based on the mean of three hour interval ap indices: 6.6). 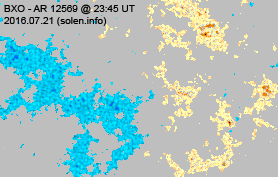 Three hour interval K indices: 11222322 (planetary), 12223322 (Boulder). 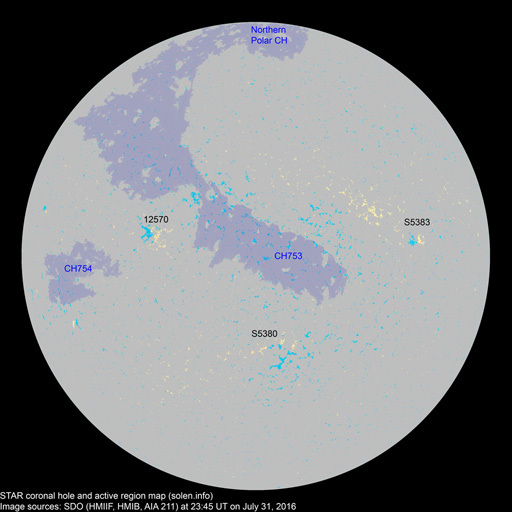 At the time of counting spots (see image time), spots were observed in 3 active regions using 2K resolution (SN: 58) and 3 active regions using 1K resolution (SN: 48) SDO images on the visible solar disk. Region 12565 [N04W73] display minor fragmentation within the large penumbra. Region 12567 [N05W65] gained some spots due to fragmentation of the largest penumbrae, however, some area was lost. 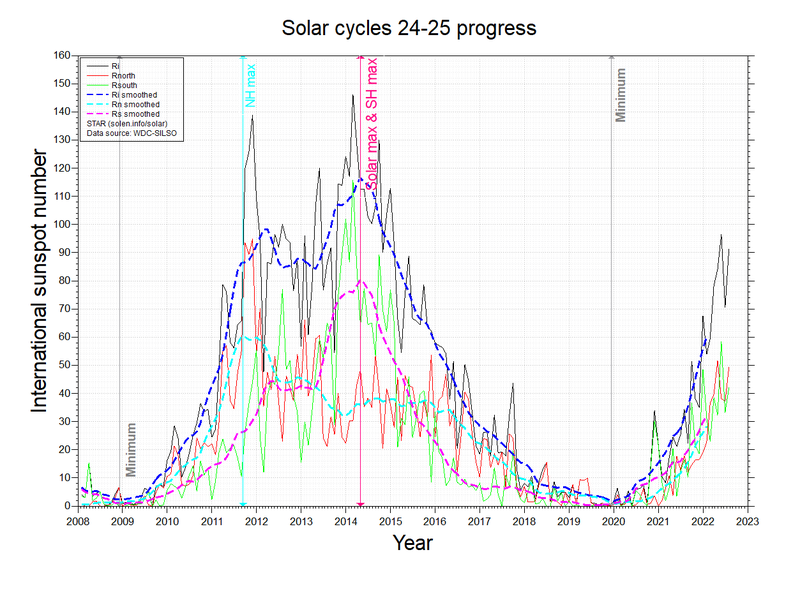 The region became very active early on July 23 and has so far produced 3 major M class events, the largest an M7.6 at 05:16 UT and the latest an M5.5 event at 05:31 UT (the events occurred at different locations in the region and were separated by a few degrees). Region 12569 [N16W22] decayed slowly and quietly. 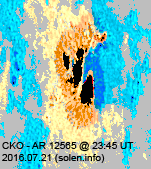 A recurrent northern hemisphere coronal hole (CH750) was in an Earth facing position on July 18-19. 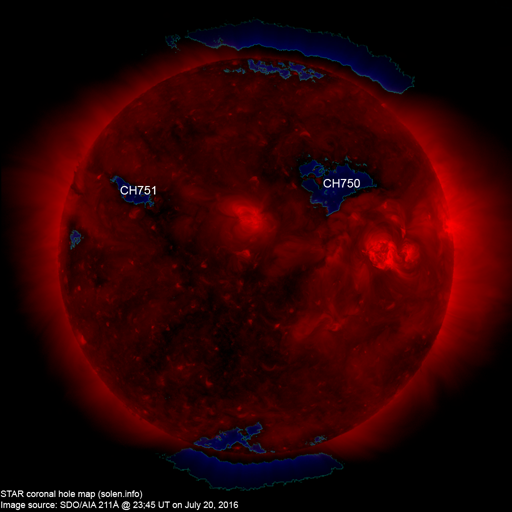 Another recurrent northern hemisphere coronal hole (CH751) will be in an Earth facing position on July 23. 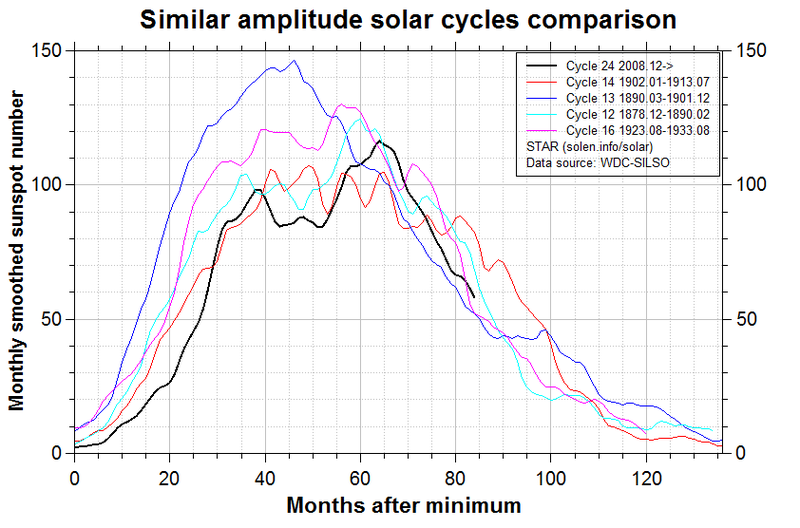 The geomagnetic field is expected to be quiet to unsettled on July 23 due to weak coronal hole effects with quiet conditions expected on July 24-25. Quiet to unsettled is possible on July 26 due to effects from CH751.